New research from Queen’s University and the NI Cancer Network Lung Cancer Group has unveiled the changing patterns of lung cancer, the most common cause of cancer death in women in Northern Ireland, and reveals a dramatic increase in the number of cases in women. The report, (launched 15 September) shows the incidence of lung cancer diagnosed here was 1,226 cases per year, and enables comparisons to be drawn across the UK and over time. It also indicates a 37% increase in the number of cases of lung cancer cases diagnosed since 2006. The increase in cases of lung cancer in women was more than four times higher (55%) than the increase in men (12%) over the last ten years. Dr Anna Gavin, Director of the Northern Ireland Cancer Registry at Queen’s explains: “Lung cancer is a devastating disease with poor overall survival and the number of lung cancer cases continues to increase in Northern Ireland. The surge in cases can be attributed to risk factors especially historic tobacco use but also the ageing population. The proportion of patients over 80 increased from 12% in 2006 to 17% in this study. Lung cancer is the most common cancer in the developed world and also the most frequent cause of cancer mortality worldwide. 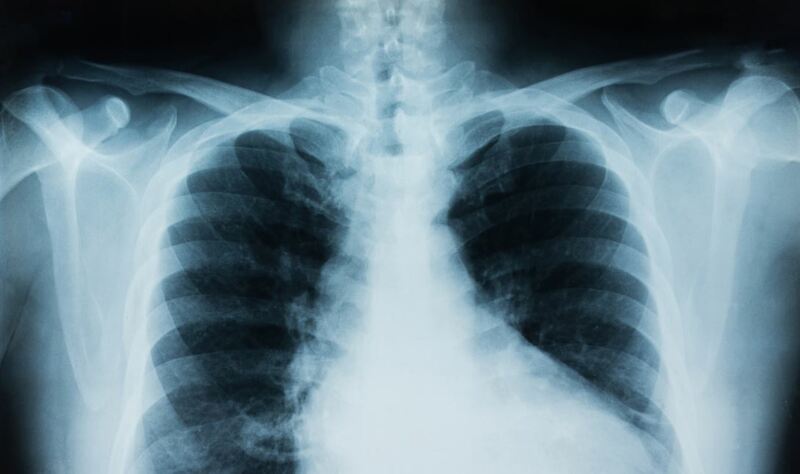 Despite the increase in numbers, lung cancer services have demonstrated marked improvements over time, which have been accompanied by an increase in survival. The most successful treatment for lung cancer is surgical treatment, and while not all patients are suitable for this treatment, surgery increased from 12% in 2006 to 15% in this study. The report found that while Northern Ireland fell below the UK average in some areas of lung cancer care including Lung Cancer Nurse Specialist assessment rates and 10% lower than the UK average for chemotherapy targets, Northern Ireland did score above average in other areas including scans offered to patients and anti-cancer treatment rates. A number of recommendations to improve outcomes for patients with lung cancer are offered including the need to invest more in smoking cessation and awareness campaigns to encourage early diagnosis. Sally Convery, winner of the 2017 Cancer Nurse Award, works with lung cancer patients: “It is unfortunate to see an increase in the number of lung cancer patients in Northern Ireland. However, we do welcome the report and this launch event, which brings together healthcare professionals and patients offering a unique opportunity to tackle this health issue and to work together to improve outcomes for patients. Early diagnosis can increase chances of survival. Symptoms include a persistent cough, a sudden change in a cough that you have had for a long time, unexplained weight loss, breathlessness and chest pain.